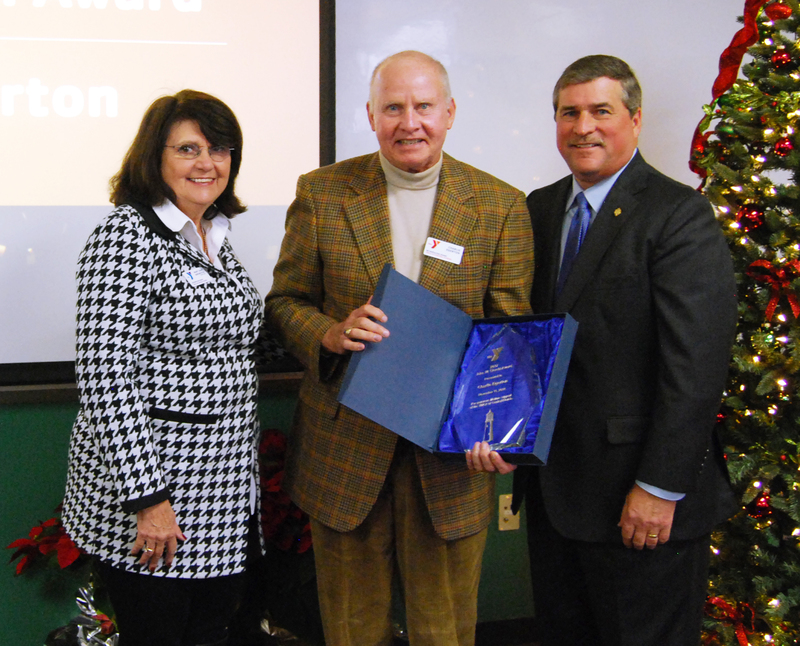 Charlie Egerton, one of the founding members of Dean Mead, received the John W. Sterchi Award from the YMCA of Central Florida. At the 2018 Festival of Trees Donor Dinner, Dan Wilcox, president & CEO of YMCA of Central Florida, announced that Charlie was the recipient of the honor this year. Charlie was recognized for his dedication and faithful support of the YMCA of Central Florida. For over 35 years, Charlie has been involved with the organization as a member, volunteer, donor and advocate. In 2011, Charlie was elected to the YMCA of Central Florida’s Metro Board, and he continues to serve on the board’s executive committee. Additionally, in 2014, he served as board chair. Charlie also served for six years on the Downtown Orlando YMCA Board. Along with those positions, he has been in other leadership roles throughout his involvement with the organization, including chairman, treasurer and scholarship chair. The John W. Sterchi Award is named for the man referred to as the grandfather of the YMCA of Central Florida. John Sterchi was the heart, soul and No. 1 leader of the capital campaign to build what are today’s Downtown Orlando and Winter Park YMCAs. In 1964, John Sterchi and a few other community leaders – including Frank Hubbard, Jack Bowen and Linton Allen – joined forces and raised $921,000, which today would be more than $6.9 million dollars! Fittingly, this award is presented to those who provide an outstanding lifetime of support to the YMCA of Central Florida – individuals whose leadership and generosity help ensure a better Central Florida community today and for generations to come.